From Garstang to GB for hurdler Jasmine? 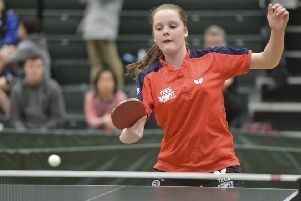 Garstang Community Academy pupil Jasmine Jolly overcame yet more hurdles to break cchampionship records. The Year 11 student won the 80m and 300m hurdle competitions in the Lancashire Track and Field Championships at Witton Park. In doing so, she set new bests of 11.1s for the 80m and 42 seconds over 300m, breaking the existing records and making her the UK number one for the latter event. Her aim this year is to represent Great Britain in the European U18 400m hurdles in Hungary during July. She is currently the UK’s number one in the U18 400m and third in Europe.